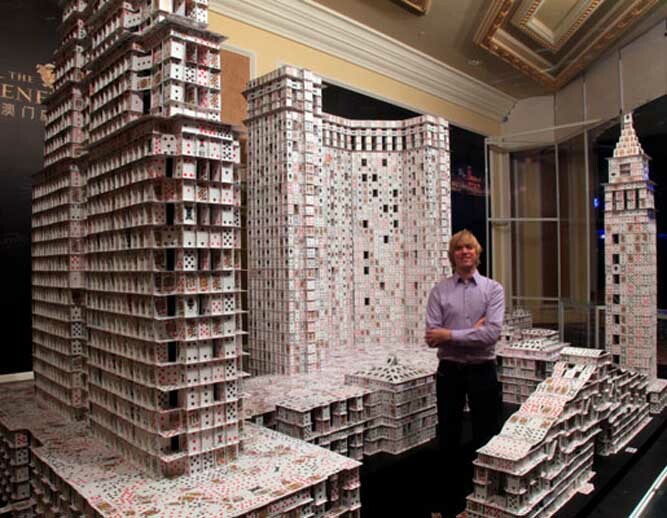 These amazing playing card stacks were built by Bryan Berg, who was introduced to card-stacking by his grandfather when he was just 8 years old. 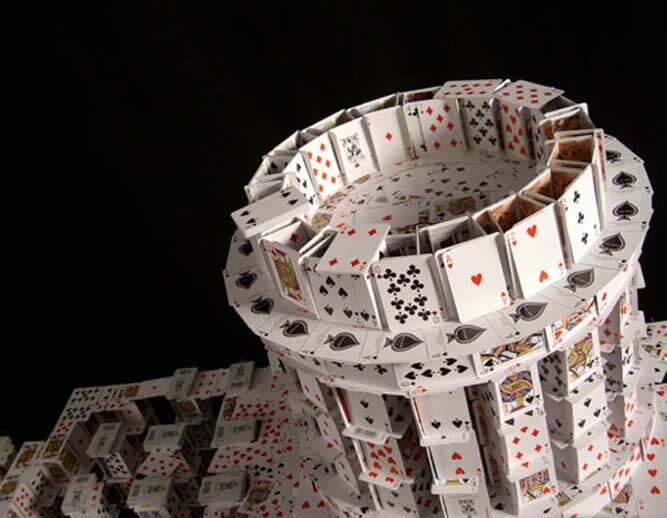 The free-standing card structures are based upon a grid system. 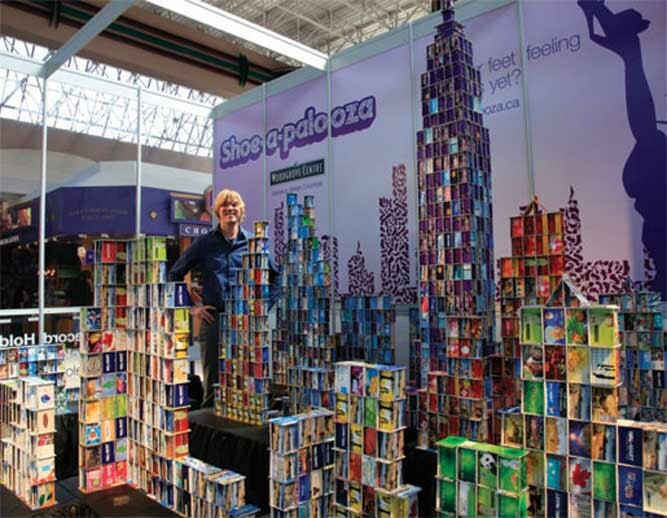 Stunningly, the playing card stacks can support 660 lbs per square foot. 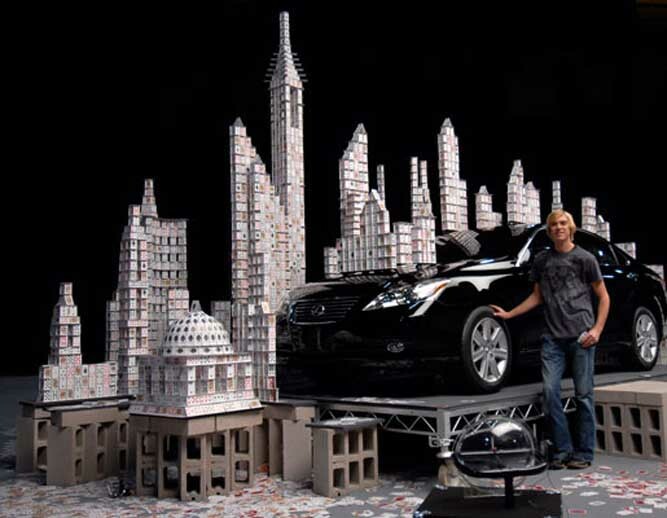 Bryan uses no tape, no glue, no folding, no bending — and no tricks. 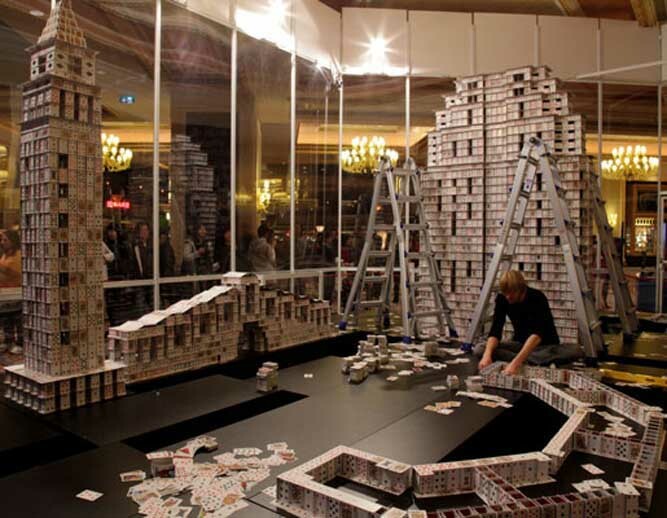 Above: Playing Card Stacks at the Skoll World Forum. Above: Earth day gift card city, Vancouver Island. 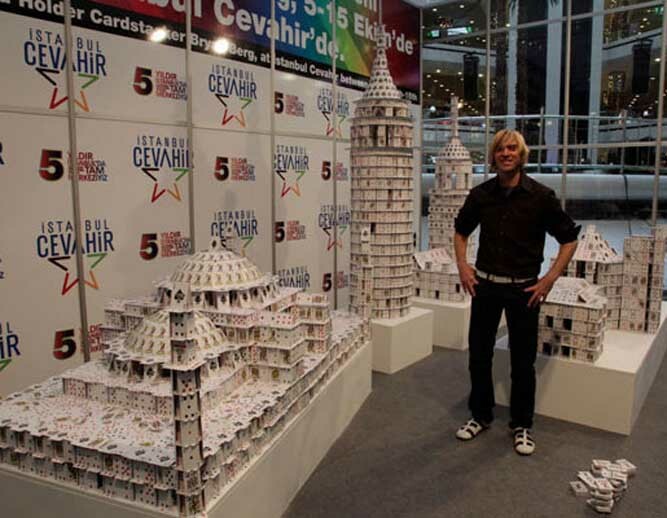 Above: Istanbul Cevahir 5th anniversary playing cards stack. 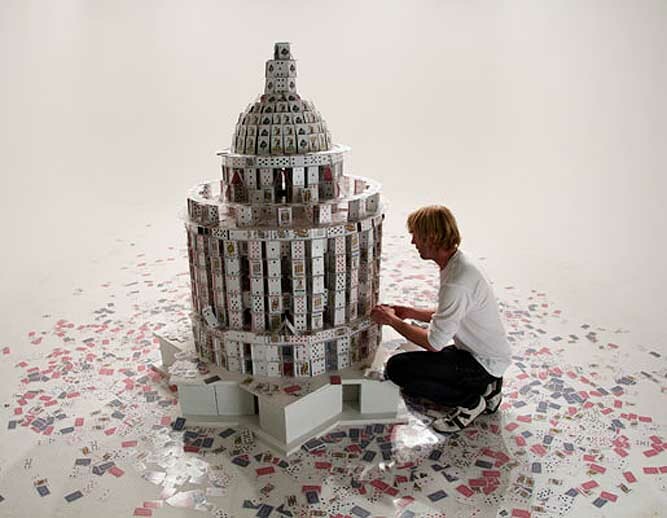 Above: Show-time Viral Video screen-shot of Playing Cards stack. Above: Silverstar Casino 3rd Anniversary. 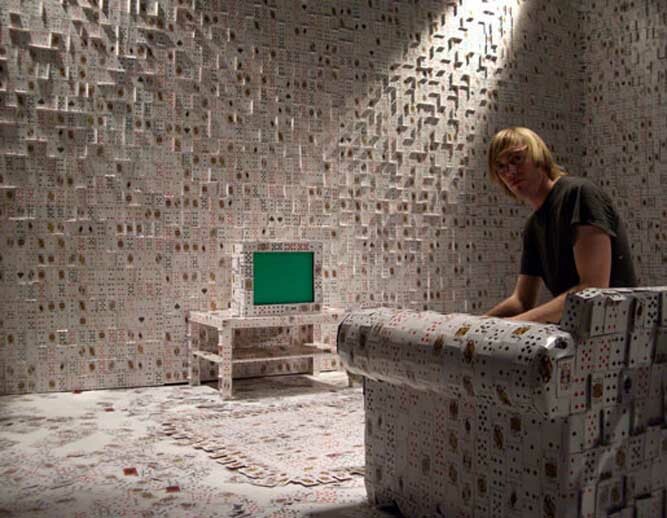 Above: The Bravery Music Video with playing cards. 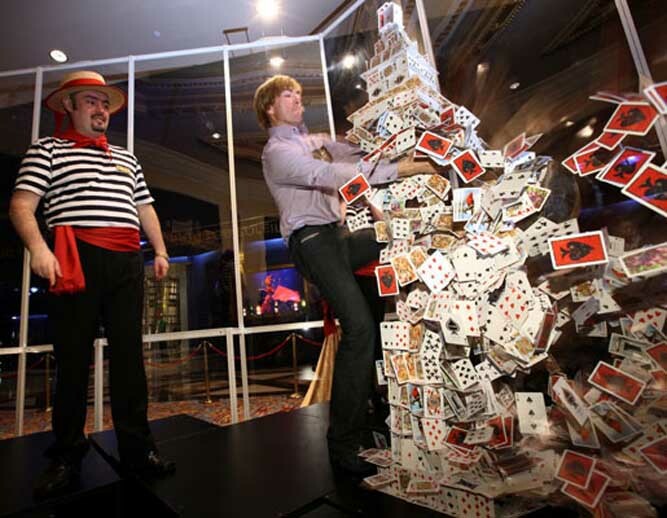 Above: Venetian Macao Guinness World Record. 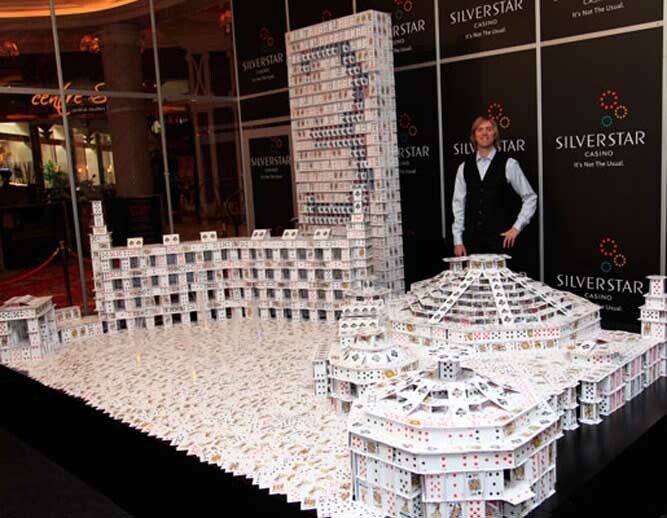 Above: Bryan Berg building the Venetian Macao. Above: Venetian Macaoplaying card stacks go down afterwards. What goes up, must come down. If you enjoyed this post, you may be interested in the highly recommended Camera Mail Experiment. © 2019 Design Soak Art & Design Inspiration Magazine. All rights reserved.